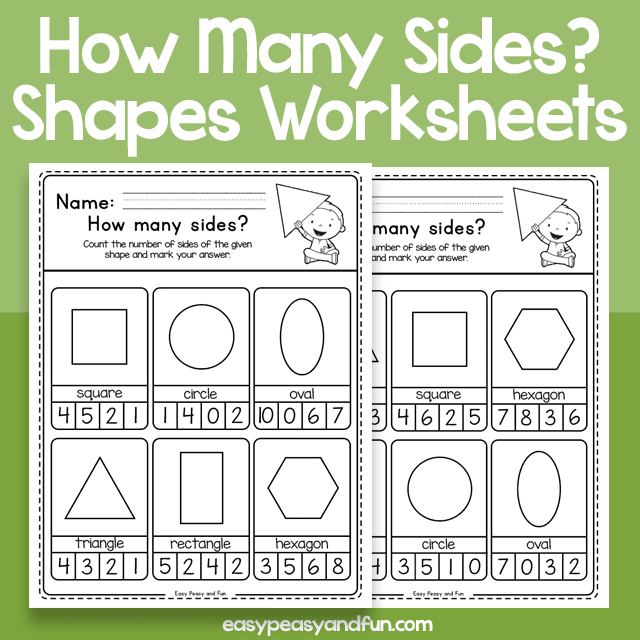 These basic geometry worksheets encourage kids to explore the sides of each of the basic shapes as they are asked to count and circle the correct number of sides of each given shape. 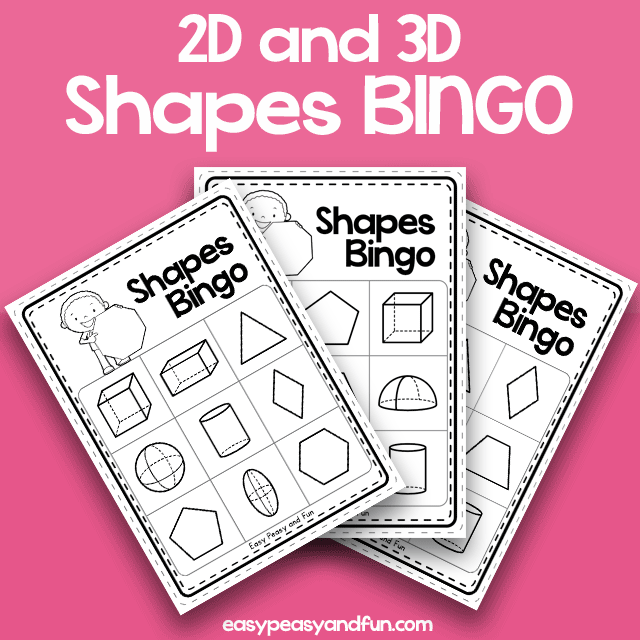 This helps them learn more about 2D shapes and their characteristics. 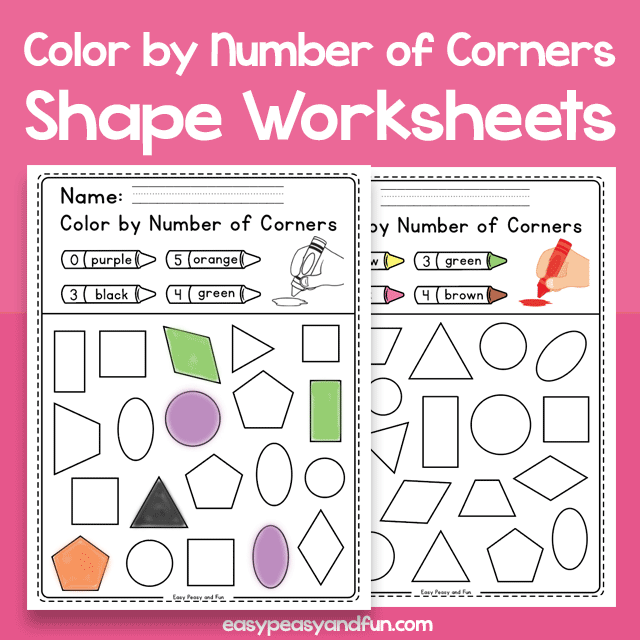 These shape worksheets are made for kindergarten and first grade and come with both diamond and rhombus name. 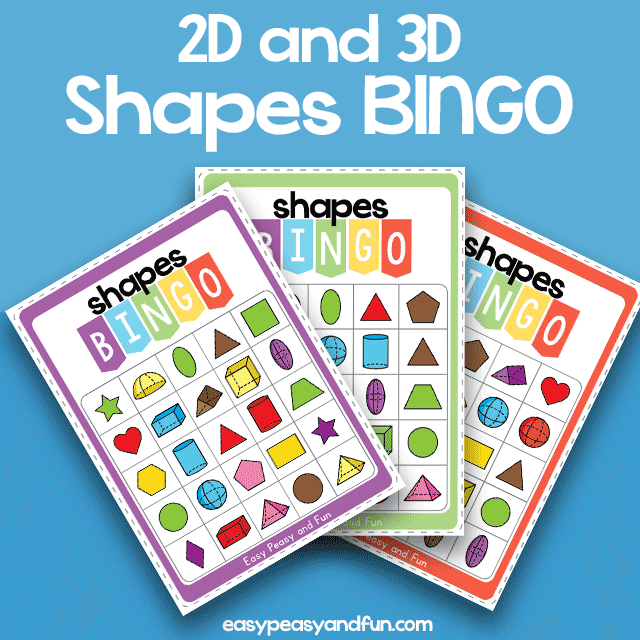 Both versions are also available in both UK and US spelling. 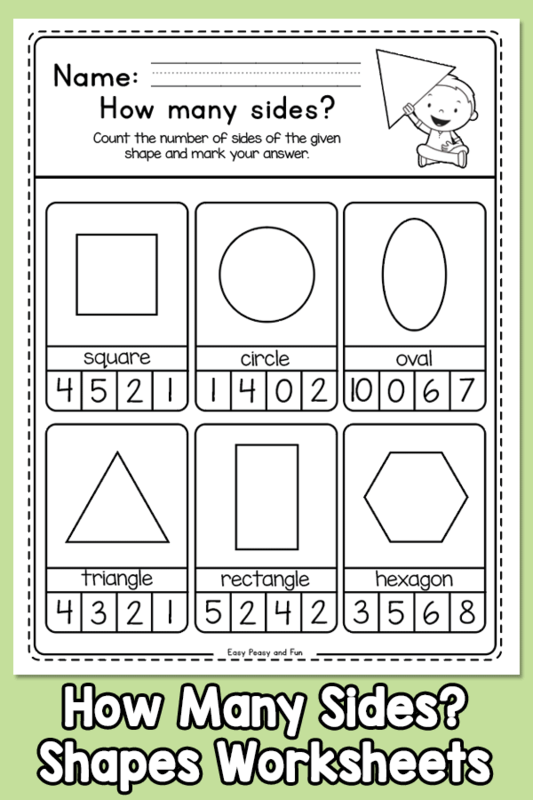 Shapes included: square, circle, oval, triangle, rectangle, hexagon, pentagon, diamond/rhombus, trapezoid/trapezium.